Skateboarding and Literature . . . Really? It’s safe to say that North San Diego County is a hub of the skateboarding industry. The founder of Transworld Skateboarding magazine lives here, along with many big name skate shoe, gear and apparel companies which have chosen this area as their home. Mike McGill, skateboarding legend and inventor of the McTwist trick, has a skate shop less than half a mile from my house, and Tony Hawk, Danny Way and Bob Burnquist are just a few of the big-name pro skaters who live within a 30-mile radius. It’s a hub, and one of the advantages of living in a hub is there’s a world-class skate park at the local YMCA, so when our son, Ben, was five years old and started skateboarding, we took him there to learn how to skate. First Ben learned how to “stomp the bug,” otherwise known as stomping on the nose of the skateboard, and drop onto small triangular, wedge ramps in mini-land. Next came his obsession with the Ollie, a gravity deifying act in which the skater pops the tail of the skateboard against the ground, brushes a foot across the deck and somehow manages to get all four wheels into the air while floating above the airborne skateboard. He practiced the move on our living room carpet before school, after homework, before bed and while my husband tried to watch the Lakers on TV. We lived with the Ollie. In fact, I’m pretty sure had we let our boy get a cat or dog or turtle, its name would have been Ollie. Eventually Ben “graduated” out of the mini-land section of the skate park, and entered the mayhem of the street course. He learned to skate the half pipe, and spent many afternoons pumping the walls of the towering vert ramp, he and his friends starting from the bottom and seeing how far up the steep walls they could go. We watched our child grow and progress. I’ll never forget my husband’s description of the late fall afternoon when Ben finally dropped into the 9 foot deep pool. The sun was setting to the west, the vert ramp casting its shadow on the skaters standing at the edge of the kidney shaped crater, our son one of them, standing there for close to half an hour, contemplating the drop, the sky slowly fading from orange to pink to purple. His buddies stood near him, a few of them whispering in his ear, “You can do this, you got this, you’re ready.” Deep breathing, steady eyes, focus, concentration . . . and then it happened. He stomped on the front of his board and swooshed into the pit, disappearing for an instant, down into the depths before flying up the opposing wall, carving a hundred and eighty degree turn, and sliding to his padded knees to the chorus of dancing ten-year-olds, hooting and cheering and clapping. I made spaghetti that night—my son’s favorite meal. I didn’t realize that standing at the edge of the YMCA skate park for all those years watching our son skate, a whole world revealed itself to me, and eventually, I started to see skateboarding for what it is. Skating is sacrifice. Skating is scraped elbows and road rash and broken bones. But it’s also redemption—unlocking the elusive trick, finally dropping in, hovering above your board over the set of six stairs and nailing the landing—at last, finally—pay back for the scars, and the sore hip, and the perseverance. And when sacrifice and redemption live in your back yard, you pay attention. And so I did and I became completely intrigued by what I saw. The YMCA skate park became like the banks of the Mississippi river to me—the land of Tom Sawyers . . . the adventures of Huckleberry Finns—kids running amok on skateboards. I was struck by the rarity of a place that is wholeheartedly inhabited by kids—a place where there are just enough rules to keep them safe, and just enough freedom to keep things interesting. It’s not that there’s a giant “Adults Prohibited” sign posted anywhere on the premises. Adults can join in the fun, but they have to pay a fee, sign a release form, put on pads and skate, so for the most part, they are powerless bystanders, regulated to the sidelines and kept out by a chain link fence. Which means, there are no adults breathing down kids’ necks, micromanaging their every move, negotiating every social interaction—no umpires or referees to stop the game. It’s a place where after school, for two hours a day, kids truly get to be free and when things brush against the edges of chaos, there are teenagers in red Skate Staff tee shirts who step from the shadows to assist kids when they need it and to monitor the shenanigans when things veer out of control. Two miles from the YMCA skate park lies Leucadia Oaks park, where the city graciously installed a beautiful skate set up for the people in the neighborhood—a smooth, concrete bowl shaped like a giant ash tray sunken into the ground with sleek metal coping slithering along the top of the bowl like a dormant snake. Little did the city know . . . if the YMCA skate park is the land of Tom Sawyer and Huckleberry Finn, Leucadia Oaks is Lord of the Flies—completely and utterly uncivilized. Without the enforcement of a few basic rules, without the gentle guidance of skate staff personnel, Leucadia Oaks park offers an entirely different kind of freedom. There is trash on the ground. There is foul language. There is the smell of weed wafting through the air and drug deals going down at twilight. And all of this happens next to the playground, where first time moms and dads push their kids in swings; dudes in flip flops hit tennis balls into the grass for grateful labradors, and songs in Spanish melt into the sky from radios as families grill up carne asada and drink liters of soda on Sunday afternoons. The longer I spent observing my son skate the more things I started to notice. Skateboarding and literature—I’m not sure how this combination happened in my brain, but The Adventures of Huckleberry Finn and The Lord of the Flies are stories about freedom—stories about what we are willing to do, what price we’re willing to pay, what becomes of us when we are truly free, and as an English teacher, I couldn’t help see the parallels. 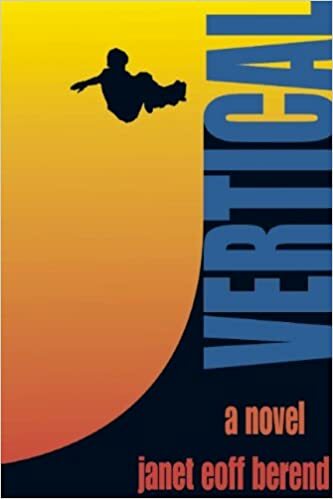 Like these novels, skateboarding is about freedom too, and like great literature, there is a deep cast of characters that inhabit the skating world—some inspirational, some painfully tragic, good guys, bad guys and everything in between. There are the ten-year-olds piling out of their parents minivans, stoked to spend the afternoon skating. There’s the teenager who spends two years filming his friends soaring over stairs and sliding down rails at schools on the weekends and when he finally completes the countless hours of filming and editing, he fills an old, funky, movie theater called the La Paloma with over 300 people—kids with candy bulging from their pockets, twenty-something year olds with tattoos on their arms and energy drinks in their hands, moms and dads—Everyone sitting together in the dark on a Sunday afternoon, eating popcorn and hooting at the images flashing across the screen. There’s Mitchie Brusco, a young pro skater, handing out skate decks to kids in India and Brazil and China, skating with a kid who has cancer from the Make-A-Wish Foundation on a Saturday afternoon. There’s the lone guy with ear buds in his head, skating at a park, doing the same trick over and over, flying, floating, moving his body . . . honing his craft. There’s the crew of thugs with skateboards in their hands, dealing drugs in the alley. There’s the pack of boys with hooded sweatshirts ducking behind grocery stores and warehouses to construct their own versions of mini skate parks out of abandoned wooden pallets. And there’s the drug-addicted, high school dropout, a skateboard dangling at his side, trying to escape the pain and mayhem of his life, one trick at a time. So many different kinds of people with one thing in common: skateboarding. It’s a universal passion that brings all kinds of animals across the desert to the watering hole. It’s a great big, beautiful, messy ball of humanity taking turns riding the skate setups at parks across the world. Sacrifice, redemption, setting and characters—skateboarding and literature . . . poetry and passion. I fell in love with skateboarding the way I fall in love with great books. Sometimes people ask how someone like me can have such a deep appreciation for skateboarding. It’s a fair question—I’m a middle-aged woman, a mother, a high school teacher. I’m never quite sure how to answer, but here’s what I know. I remember my first skateboard—a Christmas present sitting under the tree. It had clay wheels and a picture of a knight holding a sword on the deck. I remember wobbling along the sidewalk at first until I got a feel for it and then gliding across the black top and smooth banks of my elementary school. I remember building a skateboard with my father, gluing grip tape onto the glossy deck of a piece of pine. I remember fiberglass decks and urethane wheels and the Pepsi skate team and pictures in magazines of guys doing incredible things on skateboards in abandoned pools. I didn’t know it at the time, but I was witness to the beginning of something bigger than anything any of us ever could have imagined. In retrospect, it all makes perfect sense. There are human beings who feel compelled to glide across this planet with wheels under their feet, because for an instant, when they break the tethers of gravity that bind us, for a split second in the course of infinity, they are free. It’s not that these people just want to skate, they need to skate, we need them to skate . . . and thankfully, skateboarding has become a sport, an art form, a craft, a way of thinking and living that’s here to stay.